It's no secret that brows make a world of a difference for the face. That's why filled in, polished eyebrows are a must in my beauty routine, and thanks to Anastasia's Brow Wiz, I can achieve just that. Brow Wiz really is a wonder pencil for eyebrows, and trust me when I say, the hype is very much real. Brow Wiz allows you to easily and quickly shape, fill-in, and define brows. The retractable, double-ended pencil contains a spoolie on one side-very handy, and a brow pencil on the other. The tip of the pencil is very fine, so you can get precise results that look natural and never harsh. Love! The Brow Wiz lineup consists of quite a few shades so you are bound to find one that suits you best. I use the color 'ebony' which is the perfect match for my black eyebrow hairs. Using Brow Wiz couldn't be easier. With the spoolie, you first brush your brow hairs up and draw a thin line along the hairline, following your lower arch. Then, brush the hairs down and draw another thin line to define the top hairline and arch. Finally, brush the hairs back into place and fill in any gaps and sparse areas. Done! Super easy. The formula is smear-proof, but I like to set my brows with a clear brow gel to keep them in place all day, since my brow hairs can be very unruly. When it comes to brow pencils, I don't really think too much about the ingredients. But in this case, I can definitely appreciate them. This pencil contains Vitamin E to help skin fight off damage, and plant oils which soften and hydrate skin. This product is also paraben free, which is nice. 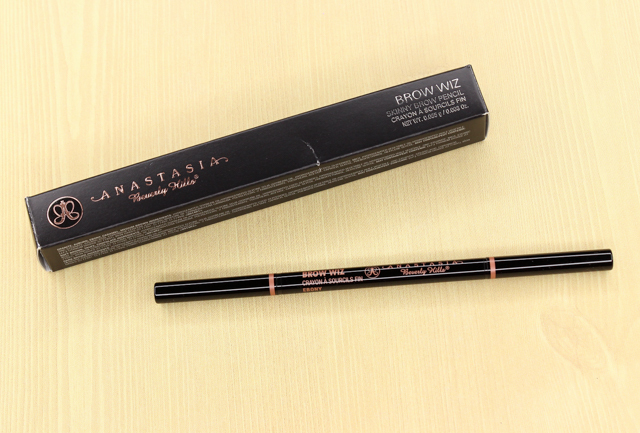 Overall: If you are on the hunt for a brow pencil that's user-friendly and will make a big impact on your brows, then Anastasia's Brow Wiz may be one to look into. It's quick and easy to apply, and the outcome is always fabulous. Yes, it is a little pricey, but you do get a good amount of product which will last awhile. For years I religiously used brow powders. But ever since discovering Brow Wiz, I haven't looked back. And once you give this a try for yourself, I don't think you will either. 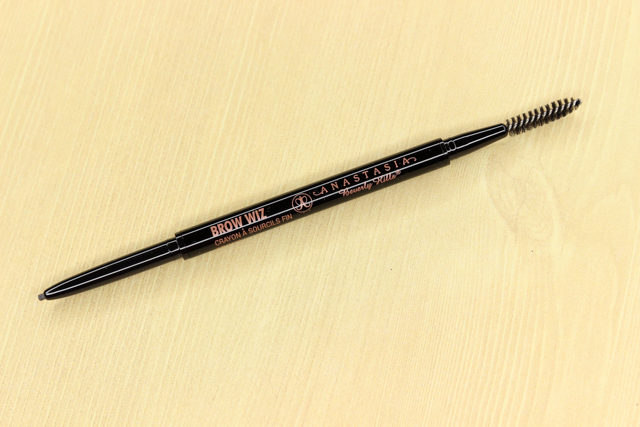 What do you all think of Brow Wiz by Anastasia Beverly Hills? Which are your favorite brow products?